Millennium 7 Publishing Co.: YOUR Travel Business Social Media? 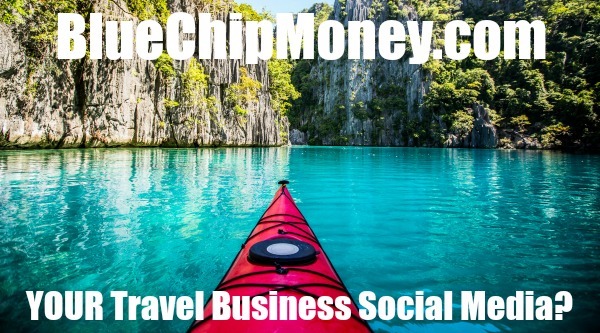 YOUR Travel Business Social Media? If your business is in the travel industry or benefits in any way from it, you need a strong social media presence..
Related Article: Architectural Digest Social Media? As we're in peak vacation season, it may actually not be too late to reach vacationing families right now before the end of summer. New data shows that vacationing consumers are likely going to check out social media about their destination. They're going to do other travel-related research online, too. According to data from the Global Web Index, nearly 1 in 4 people (23 percent) going on vacation use social media to research products to buy ahead of their trip. That figure goes up for vacationers with children. A family on vacation heads to social media to do pre-trip research 31 percent of the time. A further dive into the numbers shows how these vacations are using social media to find what they want. And it also shows what they're doing when they get online. It sounds simple and in most cases, it is. Make yourself a checklist of things you'll need to complete your profile and start posting things about your brand and the products you sell. According to the data, 27 percent of vacationing families visited a brand's social media page in the last month. And 25 percent of families going on vacation "Liked" or followed a brand they clearly connected with on social media. If your business is new to social media, you may want to consult a professional or expert before launching a social media ad campaign. It could end up being a costly venture that nets insignificant results if you&#8217;re headed into uncharted waters. But if you have a handle on something like a Facebook Ad campaign, vacationers aren't avoiding this content either. The Global Web Index data showed that 18 percent of the nearly 1,000 vacationing families clicked on sponsored content they saw on social media. Guest Authored By Joshua Sophy. Joshua is the Assistant Editor for Small Business Trends and the Head of Content Partnerships. A journalist with 17 years of experience in traditional and online media, Joshua got his start in the newspaper business in Pennsylvania. His experience includes being a beat reporter covering daily news. He eventually founded his own local newspaper, the Pottsville Free Press, covering his hometown. Joshua supervises the day-to-day operations of Small Business Trends' busy editorial department including the editorial calendar and outgoing assignments. Follow Joshua on Twitter. Related Article: Cost-Effective Social Media Advertising? “If your business is in the travel industry or benefits in any way from it, you need a strong social media presence.."